Structure firefighting needs portable, effective and ruggedized tools to save lives and property. 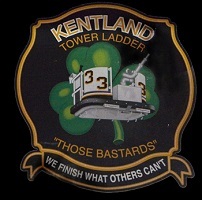 It all started at Kentland 33 in 2013. They agreed to test the first Saw Armor roof saw. 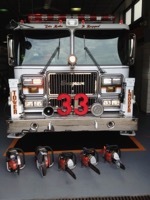 With a little fine tuning, the first Saw Armor saw went into service on Ladder 33 and a few more soon followed.. 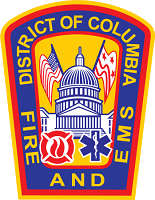 Saw Armor then worked to develop a custom designed vent and cut off saws which are now deployed at all DC truck companies. Power equipment dealers are now building vent saws for their fire department neighbors, and providing local support. That's a good thing. We have a range of cobalt tipped vent bars with depth limiter slot, our armor plate to protect the operator and the saw, ladder hook, Terminator carbide chain, HD air filter and more. Contact us for more info.